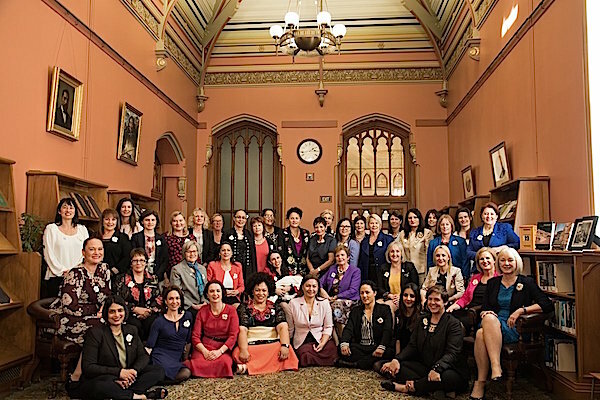 “What a difference 113 years makes!” tweeted Green MP Golriz Ghrahraman, New Zealand’s first refugee MP, who featured in the updated photograph taken on Wednesday. 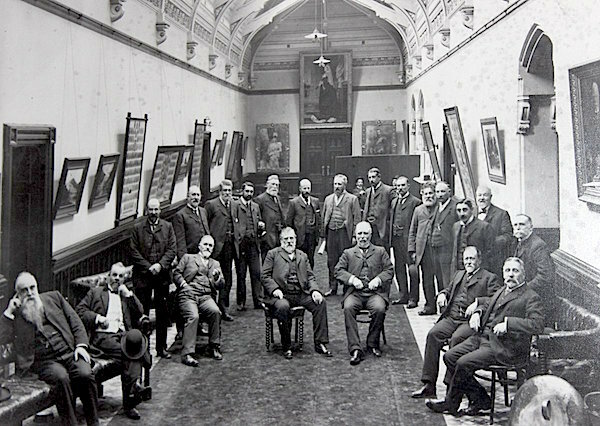 The black and white picture taken in the reading room of the parliamentary library in 1905 captured 23 men in three-piece suits. The 2018 version featured women of diverse age and ethnicity – and one baby girl. The 2017 general election saw 46 women elected to New Zealand parliament, taking the proportion of female MPS to 38%. It is still shy of the prime minister’s professed goal of an equal 50/50 split. At 75%, the Green party has the highest percentage of women among its caucus. Suffrage day celebrates the 125th anniversary since New Zealand women won the right to vote in parliamentary elections. More than 90,000 New Zealand women went to the polls on 28 November 1893 and despite concerns about harassment and violence, the atmosphere was relaxed, and in some places, festive. Women were first allowed to stand for election in 1919 and the first female MP was elected in 1933. With a mock security pass that lists her as the "First Baby" of New Zealand, three-month-old Neve Te Aroha made her United Nations debut when her mother, Prime Minister Jacinda Ardern, spoke at a peace summit in the General Assembly. Ms Ardern planted a kiss on baby Neve during the inaugural high-level Nelson Mandela Peace summit, a day before leaders address the UN General Assembly. Her partner Clarke Gayford, who is the baby's full-time caregiver, sat with the New Zealand delegation and held Neve as Ms Ardern spoke. He also tweeted a photo of the security pass and joked that Neve had kept them awake, without any regard to different time zones. "Because everyone on Twitter's been asking to see Neve's UN ID, staff here whipped one up," he wrote. 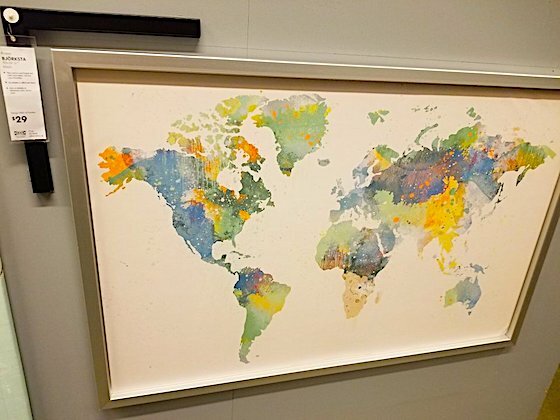 Ikea has apologized for an offensive world map that somehow doesn’t feature New Zealand – one month after they announced plans to expand into the island nation. The Swedish furniture giant was forced to address their harsh removal of the country from our planet after a person took to Reddit to point out their omission. The poster spotted the awkward error on the ‘Björksta’ world map at a Washington DC store. “Ikea is responsible for securing correct and compliant motifs on all our products. We can see that the process has failed regarding the product Björksta world map,” a company spokesperson told the BBC. “We regret this mistake and apologise,” they said, adding that the incomplete map is currently being phased out of Ikea stores. The timing couldn’t be more awkward for the flat-pack furniture giant: the epic gaffe comes just weeks after Ikea announced its plans to expand into New Zealand at the end of 2018, and the “phase out” process has yet to reach its website, which still offers the incorrect map. Understandably, New Zealanders have taken to social media to vent their frustration at yet again being treated as Australia’s forgotten cousin. Of course, the Aussies managed to find humor in the furore. On the Aussie front, Australia is bigger than Europe, but on this map, the Nordic countries (Sweden, Norway and Finland) look way biigger than the good old Down Under. We should feel miffed and reject the flat pack as a national interest gesture.